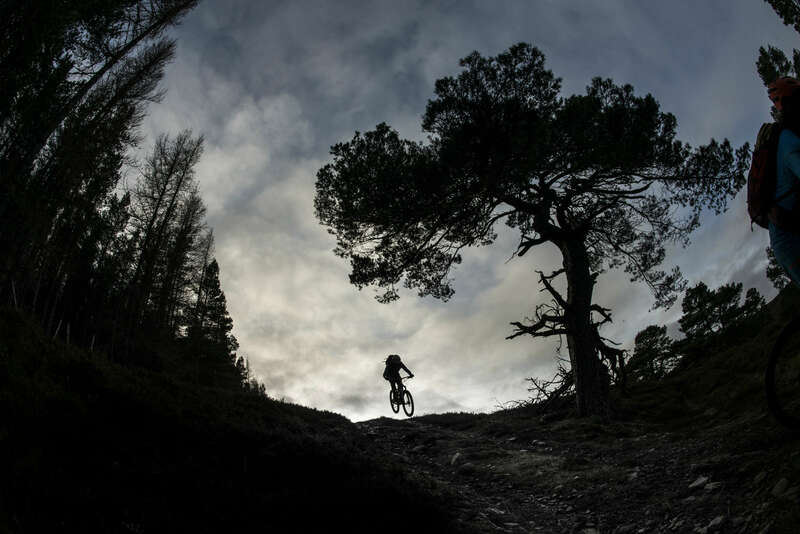 Now in our tenth year of bike fettling and being formed by my partner Liz and myself, Cyclehighlands remains Aberdeenshire’s largest independent cycle retailer. 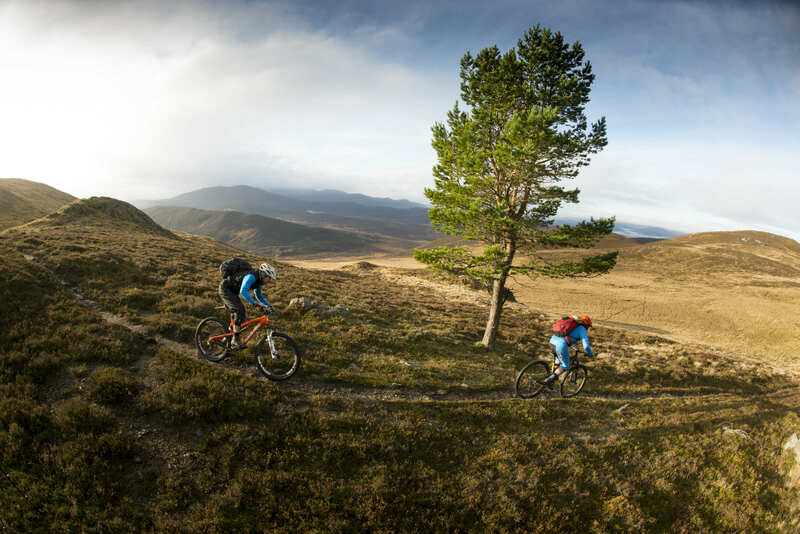 Located in Ballater (eight miles from the rather upmarket Balmoral) and surrounded by hills, forests and the Cairngorm mountains, we also benefit from great local coffee shops, restaurants and MTB friendly accommodation. Local trails (still a big secret from the masses) include little rippers like The Caulston Glen and Heartbreak Ridge to all day epics like The Capel Mounth and Lochnagar. Our trails immediately from the shop are generally XC but with plenty of climbing and altitude, technical and more rocky stuff is pretty close to hand too. We even have a little bit of beginner “north shore” in the shop grounds. 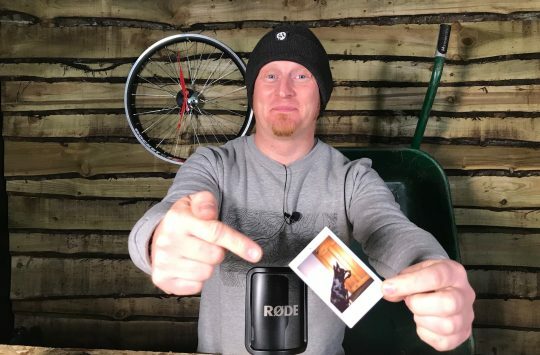 How are you guys set up, what do we really need to know? 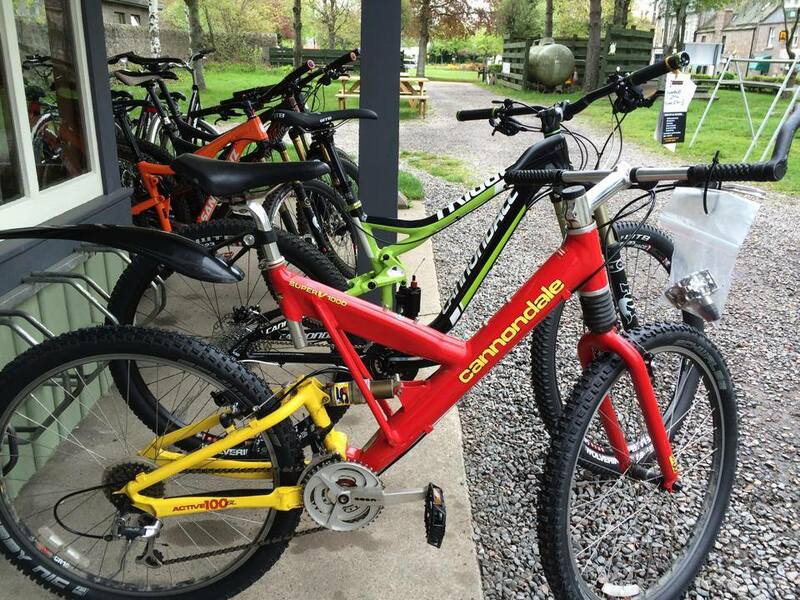 We stock a wide range of quality bikes of all types, but specialise in MTB and children’s bikes. We are number one dealer in Scotland for Santa Cruz and Rocky Mountain and the biggest in Northern Scotland for Cannondale. 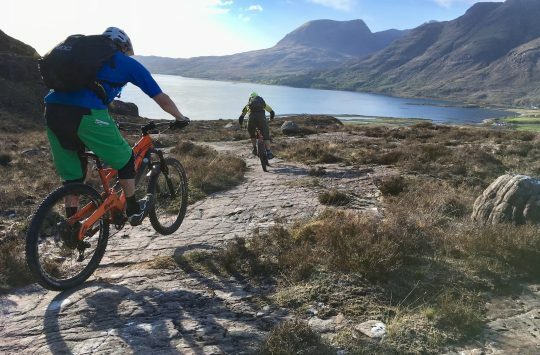 Our business is the only full time MTB guiding outfit based in the north east of Scotland and we run run regular day trips for individuals, corporate groups and schools. Are you still a custom build specicalist? We really do get to turn around some lovely custom builds. With the shop stocking Santa Cruz, Rocky Mountain and Cannondale, plus custom builds including Transition and Intense you can imagine we work on some beautiful examples regularly. 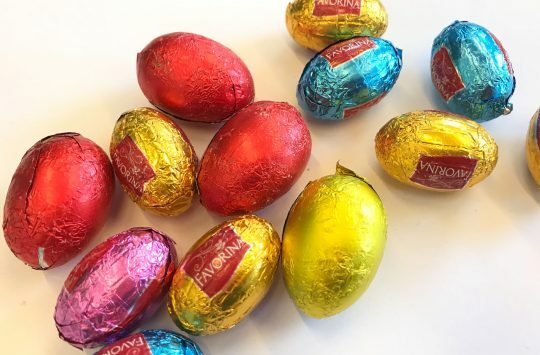 Are you planning any special events to celebrate? We have our 2015 Ten Year Demo Day celebrations coming up in April and places are booking now for anyone wanting to test our award-winning bike brands, plus some additional monster brands in the flesh, including Ibis, Intense, Kona, Transition and Juliana to add to Santa Cruz, Rocky Mountain and Cannondale. Our Tenth is going to be Scotland’s biggest demo day, hosted on Saturday 18 April. If want to test top brands, check your bike fit, enjoy a quality BBQ, plus our KIDS ZONE for future trail demons to try out balance and mini bikes, book now. There will also be the chance to book onto Sunday’s ride with guides from Cyclehighlands and tech experts from the brands. Coffee, cake and much more included. We are ten, hence it’s our party and we’ll cry if we want to. Entry is free but picture I.D. 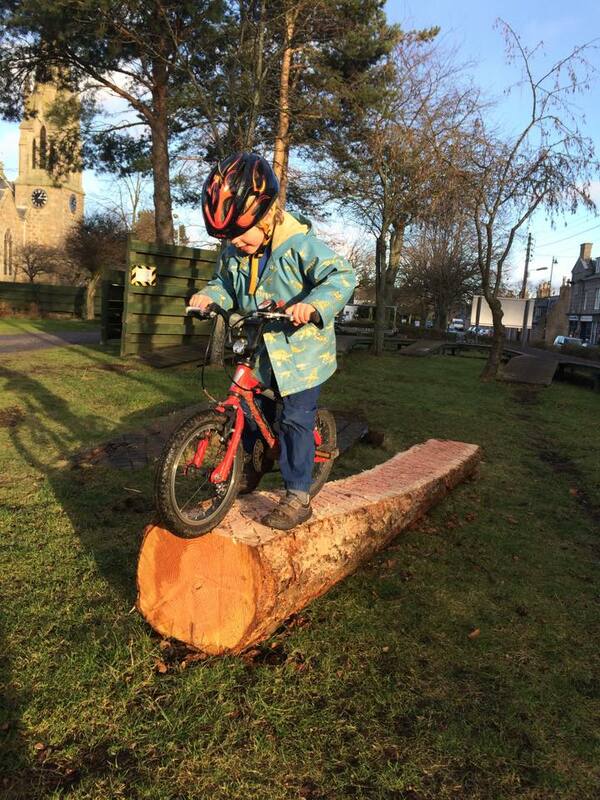 is required, email info@cyclehighlands.com for booking info and accommodation. Our regular updates can be found here on Twitter and Facebook. Lastly, what do Singletrack Premier Subscribers get from you guys? 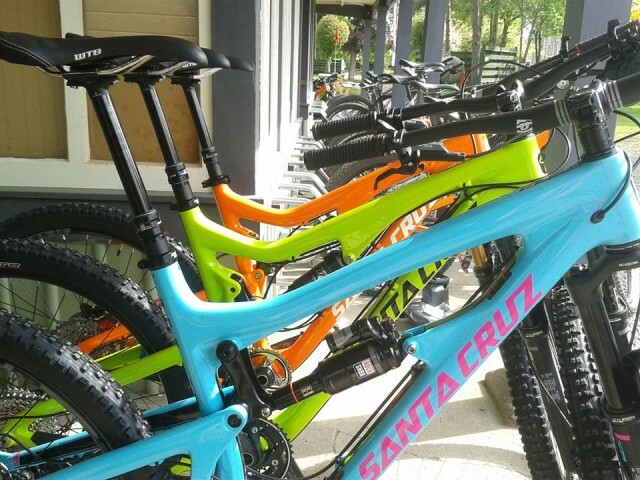 With the biggest Santa Cruz demo fleet north of Newcastle (and all up to date 2014 models), Premier Subscribers benefit from half price demo days (£25 discount) for Santa Cruz test bikes.